Misty Sunday - Sugar, Darling? I think it would be safe to say that I'm really starting to embrace more casual looks recently. I'm never going to be a no make up and hair in a scruffy bun girl I've really been getting the hang of jeans and tops and relaxed fit styles these last few months. 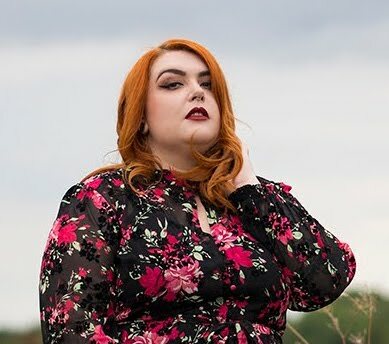 Don't get me wrong, I still adore a good dress and fitted pieces that show off my curves but I'm pleased that I'm branching out and embracing something new - I think it's so important to step out of your comfort zone and try new things every now and again, and not just in terms of fashion! This Open Front Cardigan (£38.00*) from Curvissa is the perfect thing for these strange fall days when the weather can go from bitter cold to warm and sunny in a matter of minutes. A great transitional piece, the grey and black colour scheme makes it easy to wear with an abundance of colours while the texture and pattern of the knit and the faux leather trim add those extra details that elevate a piece from the everyday to a wardrobe staple. The waterfall front is a nice touch although one that can sometimes look a bit too bulky on people with larger busts and the long sleeves are great for keeping warm in a breeze or rolling up when it's a little more mild. I'd give this style four out of five stars, only because the sizing is a little on the small side. I teamed this with some New Look pieces - some old faithful jeans, a lovely new burgundy top made of faux suede and a lovely real leather bag from their premium selection. 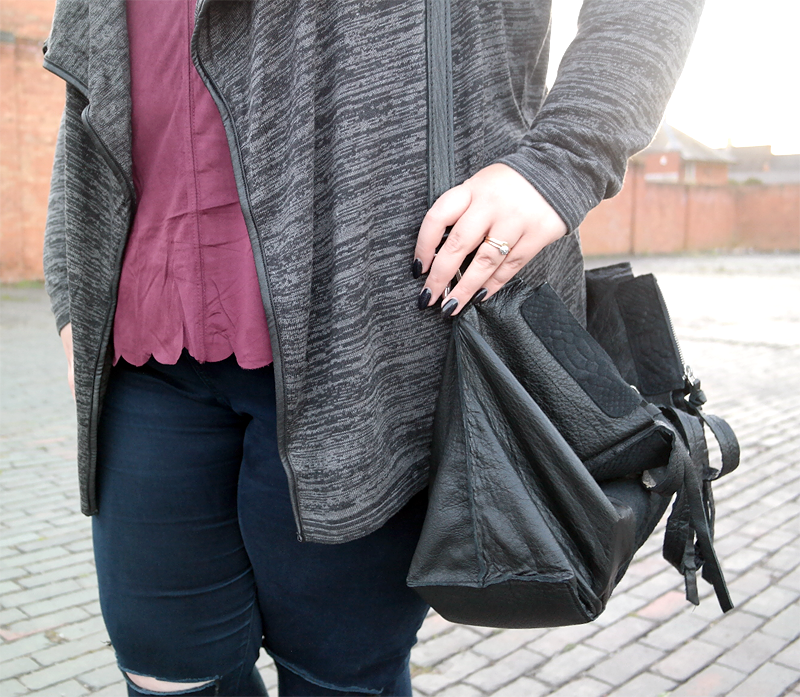 I finished it off with some flats as I was off walking that day - these are my new favourites from Simply Be that seem to go with pretty much anything and have a fab angled strap detail.